As 2016 is seen as the first year of virtual reality (VR) applications, major technology companies such as Facebook, HTC, Sony, Samsung, LG and Google are aggressively pushing ahead. In addition to introducing head-mounted VR displays, they are also looking to add VR image processing capabilities to their smartphones to attract more consumers. 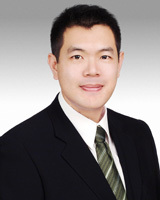 Han Wenyao, MIC Industry Analyst, SASACAdd eye-catching new bright spots Smart phone hatchback VR design style; 2016 has been hailed as the first year of virtual reality (VR), the major technology manufacturers including Facebook, HTC (HTC), Sony (Sony), Samsung (Samsung) and Google, etc., continue to show the determination to enter the field of VR, not only the introduction of VR hardware, devices, as well as the layout and industrial chain. The VR market has also seen the emergence of high-end low-end products, high-end VR head-mounted devices must be paired with high-performance computers or game consoles, the low-to-medium VR experience, head-mounted devices combined with intelligent mobile phone computing or screen functions can be used. VR head-mounted devices introduced by major manufacturers can be divided into "mobile" and "fixed" categories according to portability. Mobile means a fixed computing device which does not require an external circuit to be connected to it, such as a head-mounted device of a personal computer or game machine, and which can be moved by the user without space limitation after being put on; a fixed device means a fixed device which can only be moved within a certain range because it is required to be connected to the fixed device by an external circuit.Further subdivided into two categories, mobile VR includes "VR glasses" and "VR all-in-one". The former must be connected to intelligent mobile phone use, through the mobile phone's computing and applications to provide virtual reality content, and then presented to the user by head-mounted devices, some of which not only allow the mobile phone to provide computing, but also use the phone directly as a screen.VR glassesmust have a high degree of compatibility between the mobile phone and device, better experience. VR Experience Technology Analysis Different VR headsets will affect the immersion experience of VR due to different technologies. The following will compare the current experience difference between mobile and fixed VR headsets from the analysis of the operation mechanism and technical project of VR fixtures. How the Complete VR Experience Works The VR experience process can be divided into two parts, "input" and "output". The VR hardware input device transmits the signal to the hardware processor and the software operating system through the identification function, and after processing, the hardware output device outputs the signal to the human senses and the signal is transmitted back to the loop (Figure 1). The above input devices include: visual capture system, microphone, hand, touch screen, panoramic photography and body sensing equipment, and output devices include: screen, surround sound, headphones and object vibration. The current VR headset can be used as an output screen, in which mobile VR glasses such as the Samsung Gear VR are imported, in addition to the same built-in head tracking and eye tracking, mainly through the touch keys on the side of the device. 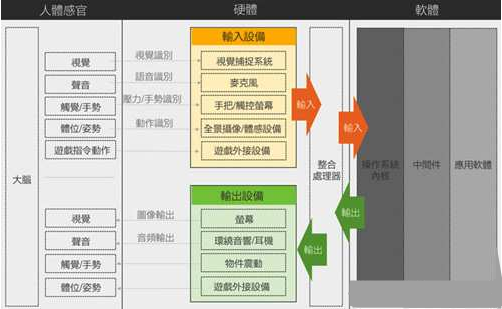 Figure 1 Operating Mechanism of the Full VR Experience Illustrated Source: SASAC MIC (3 / 2016) and fixed VR helmets such as Oculus Rift VR and HTC Vive VR are equipped with handlebars, locator trackers, etc. as inputs due to better computing performance. However, any type of external device with more input and output will exacerbate the delay. Oculus Rift VR Equipment and Technical Analysis Oculus will be used here as an example to explore the relevant equipment and its technical projects. First of all, in the part of the headset, Oculus is connected to a cable that can transmit image signals stably, and is equipped with a screen with resolution of 2,560× 1,440, update rate 60Hz, as well as lenses, transmission line jacks, etc. In addition, the headset is also built in a variety of important components such as accelerometers, gyroscopes, stereoscopic headphones that can be used in combination with stereoscopic sound transfer function to create stereoscopic headphones.In addition to the head-mounted device, Oculus is equipped with positioning trackers, game handlebars and controllers. By detecting the LED on the headset to track the user's position, the location tracker supports a 360-degree view. In addition to supporting the Xbox One wireless handlebar, Oculus has also launched its own handlebar Oculus Touch, which is designed to be used as an immersive device to retracker, so that it can be used in the whole hand to make the whole range of the game experience. In addition to the hardware mentioned above, Oculus also spent a lot of effort on the development of Feedback Loop for correction of brightness, contrast, height and other values in order to allow information to flow smoothly back and forth between location trackers, headsets, computers and software. Moreover, Oculus also has an online chat interface that allows users to switch between Oculus and Oculus. Fixed / Mobile VR Headset Experience Comparison When the immersion of VR experience is not enough, it is easy to cause dizziness. Several important factors that affect immersion include: viewing angle, screen resolution, screen update rate and delay speed. At present, the basic indicators of the industry are: viewable 200 degrees, 4K screen, update rate 100 ~ 120Hz, 19.3 millisecond delay, which can be regarded as a mature technical standard. At present, both fixed and mobile VR devices still have significant room for progress, regardless of the current development of the less mature VR all-in-one, the same mobile VR glasses in the above projects are much less than the fixed VR helmet, so its dizziness is bound to be more serious, and in its performance can not load more input or output devices, the full VR experience can not be achieved in the case of VR glasses on the field (in the VR glasses, in fact so many categories of the application of the field). [ @ B ] VR Main Application Fields Analysis [ @ C ] VR Main Application Fields Analysis In addition to its past applications in the military, aviation, and gaming, VR now has multiple applications. The following will analyze existing application examples for seven major applications: education, automotive, travel, film and entertainment, personal social networking, news, and medical. In the field of education, VR can serve as a cultural bridge and enhance students' understanding of the disciplines. Companies that provide VR content, such as zSpace, Alchemy VR and Immersive VR Education, have designed many courses, such as history courses, using VR to construct spatial models, recreate historical and natural landscapes, and allow students to experience historical events first-hand. In the natural sciences, VR also allows students to interact with the environment, animals, and so on to increase their focus and understanding of the curriculum. Google launched the Expedition Pioneer program in 2015 to bring VR to campus by distributing kits to thousands of schools. The kit includes a commanding tablet computer, a router that can still be used without the Internet, a mobile phone that can be turned into a virtual mobile phone, and a Carboard that can be used by Google. In the automotive sector, many automakers, such as MINI, Infiniti and Porsche, have experimented with 360-degree VR films and guided tours using new technologies to enhance their innovative brand image. VR has also been used in the development, testing, sales and driving training of vehicles. Ford Automobile's Immersive Vehicle Lab, established in 2014, enables employees to design the best of VR. Audi and Oculus have also teamed up to launch a VR car selection service that allows customers to browse and feel the real world of their car in all Audi models. Toyota and Oculus have teamed up to launch TeenDrive 365, a VR driving simulator for teenagers that uses a variety of scenarios to exercise their ability to focus on driving. In the field of tourism, the use of VR for sightseeing guides enables users to choose their desired travel itinerary. On the one hand, they can enhance their willingness to spend and on the other hand, they can enhance the decision-making quality of consumers. On the other hand, when popular tourist spots are connected down the industrial chain, they can gradually develop into a new tourism e-commerce platform in collaboration with hotels, passenger service centres and local tourism experience, etc. In film and entertainment, where VR can create a more authentic and unique experience for content, Hollywood studios are actively involved, while Oculus, Samsung and HTC have set up VR content production units, and even Oculus has teamed up with New York University to teach VR for filmmaking. In 2015, the Jedi Rescue (The Martian) made fans feel like they were on top of the VR. In addition, companies that use VR to produce live shows, such as NextVR, which broadcast presidential debates and NBA games live in 2015 in an attempt to make users feel like they are on the spot by wearing headgear, or VR company Jaunt, which launched an Android app in 2014 that lets users watch virtual reality McCartney concerts on Google Cardboard. In 2015, Oculus, driven by Facebook, released a prototype social app that allows users to meet up with friends in a virtual social theater to watch movies and talk. At this year's Samsung launch, Facebook CEO Zuckerberg also announced a team called Social VR to explore how humans can communicate with each other inside and outside their homes, using VR for example. In journalism, VR will recreate the news scene, change the narrative, and give listeners a unique perspective and reinforce empathy for news events. In 2015, the New York Times announced a partnership with Google for the VR app, during which Google distributed more than one million Google Cardboard subscriptions to the New York Times, giving both print and digital subscribers access to the virtual reality of the New York Times documentary. In the medical field, VR can be used for emergency rescue exercises, which can save more time and manpower. A study conducted by Stanford University School of Medicine found that there was no significant difference between the performance of the VR group and that of the traditional training group. In addition, VR can also be used to simulate medical treatment to achieve better teaching results. As in the field of journalism, VR enables medical staff to experience the situation of mental patients with greater empathy. There is even so-called Virtual Reality Therapy (VR), which simulates scenes in which people with anxiety or panic disorder gradually find a way to cope. Studies have shown the benefits of VR in reducing post-traumatic stress disorder, or in alleviating pain. For gaming or enterprise applications, special emphasis is placed on high-quality experiences. Currently, only stationary VR devices can meet their specifications and experience requirements. Mobile VR eyewear has considerable advantages in terms of portability and price in the mass market, and there is still a niche in consumer applications such as film and television entertainment or education. Exploring the Development Direction of VR Mobile Phone The rapid development of wireless networks and mobile devices in recent years has made mobility one of the essentials of consumer technology applications. Watching Google Cardboard experience not as good as Ouculus and other products, it is still popular because of its low price and interesting, and predicts that future mobile VR devices that are not limited by space will have the opportunity to become the target of next-generation design development. As the VR all-in-one is specially designed and developed for VR applications, its specifications or experience will be superior to the VR glasses paired with intelligent mobile phones, which will become the representatives of high-order VR devices in the future. However, due to the limitations of computing power, battery and volume, the VR all-in-one with high computing power and portability is not yet available. Global intelligent mobile phone industry has entered a mature stage, product specifications have entered the majority of standardization, brand manufacturers difficult to design breakthrough innovation to attract consumers. Historically intelligent mobile phone design to pursue the main benchmark has also been shifting, the pursuit of thin body in 2012, the pursuit of high resolution panel in 2013, 2014 capacitor press type fingerprint identification to 2015 is included in the next wave of pressure touch design, 2016 will also be driven by smart phone design opportunities. On the market side, even though the smartphone market has entered its mature stage, it is still the single technology end-consumer product with the largest volume of shipments in the world. In 2015, global smartphone shipments reached 1.43 billion units, and in 2016, it is estimated that 1.51 billion units will be shipped. Its market size still exceeds that of a pen, desktop, tablet and host computer market, so if only 5% of smartphone brands such as smart phones are developed in the last year, it will be able to develop new mobile phone components. In terms of content, high-spec VR movies or games are relatively expensive to develop and take longer to produce, so there is less supply of content to meet users' demand for rich content. With Facebook's current push to socialize, Google-led cheapening, and the advent of various consumer 360 VR cameras, VR content in the future will not be limited to enterprise development, but will have the opportunity to emulate YouTube's low-cost VR makers in producing VR products. In terms of product design, VR handset specifications allow fixed VR devices to be used as the standard. As a result, the requirements for Graphics Processing Unit (GPU) will be higher for processors, the panel resolution will be 2K for single eyes and 4K for better picture refresh rate (Refresh rate and LED AMrate can also drive the viewing angle). In addition to visual, auditory immersion will also drive the development of lossless music formats, digital analog converter (DAC) wafers and multi-channel technology. Lightweight polycarbonate material may also be the preferred material for VR mobile phone cases. In terms of input, head tracking, small eye tracking and other remote sensing devices such as remote control devices may be incorporated into the design.